Roomscapes is a full service design construction firm specializing in custom cabinetry, high-end kitchen design and architectural renovations. Traditional, transitional or contemporary, whatever your style, our goal is to curate beautiful, functional designs unique to each client and a personalized design experience assisting with selection of materials and finishes. We have an in-house team of expert designers, CAD engineers, draftsmen, lead carpenters and skilled installers. We have a vast knowledge of the critical aspects of space planning and the ability to service all areas of design and remodeling. Our 10,000 SF design center serves as a venue for inspiration featuring over 12 full-scale room displays and an extensive selection of cabinet doors, tile, hardware, countertops and plumbing fixtures in the latest styles, designs and finishes. We welcome the opportunity to work with you!! Welcome to the The Cabinetry Kitchen Design Studio. 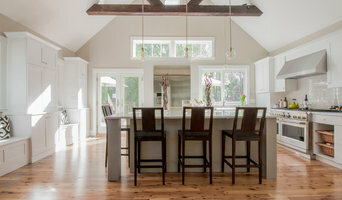 The Cabinetry specializes in providing unique design services and beautifully crafted cabinetry. We’re based in Hingham, Massachusetts. The Cabinetry has created beautiful kitchen environments for over a decade. 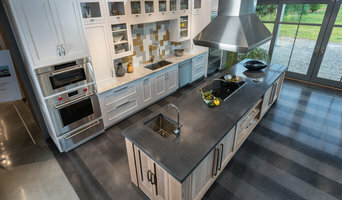 Our family has more than 50 years of experience in the kitchen design industry, and we offer a wealth of experience and a dedication in the design of upscale kitchens and baths.We have built a reputation for going ‘the extra mile’ to ensure that our clients have a positive kitchen design experience. I am extremely proud of this reputation and look forward to working with you. The Cabinetry emphasizes integrity, courtesy, communication and precise attention to detail. It is a boutique business that specializes in complete kitchen and bath remodeling. Just as every kitchen and bath is unique, so too are the services The Cabinetry offers its clients. 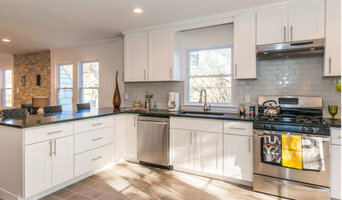 With design as the foundation for all projects, the staff uses the latest computer software to create customized plans for kitchens and baths that reflect the needs of each client and their household. Next the staff works with the client to create the desired environment by selecting the cabinetry, counters, tile, lighting and decorative hardware. Services are also available to help with the finishing touches like wall coverings and window treatments. 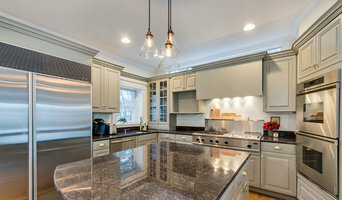 In addition, The Cabinetry can also project manage the entire job from start to finish for the client who doesn’t have the time or the inclination to oversee a major home renovation. Venegas and Company is a boutique kitchen design studio and showroom in Boston's South End with a reputation among the trade for fair business and exceptional service. Privately owned by Donna Venegas and operated by all women, Venegas and Company a offers 4,000 square feet of fresh ideas! We provide our clients a truly personalized experience with the most thoughtful designs and innovative products in an engaging and creative environment. We are true collaborators; we work as part of a great er team to design, measure, specify, and install a space from start to finish. Our studio is comprised of very talented designers...including Donna Venegas . Michele Kelly . Meaghan Moynahan . Christina Goncalves. Jenny Mui . Moira Connolly Each with education, experience and talent in Interior Design and custom millwork. The craftsmanship of our cabinetry combined with the enthusiasm, talent and experience of our Kitchen Designers makes for a stunning final result. We love what we do and enjoy sharing our knowledge and experience with our clients and trade colleagues! Check out one of our 6 Kitchen & Bath Gallery Locations in MA & RI: Yarmouth, Martha's Vineyard, Falmouth, North Attleboro, Uxbridge & Warwick We also have 3 Kohler Signature Stores in Boston, Natick & Burlington, MA Only at Kitchen & Bath Gallery can you find everything you're looking for -- under one roof -- to create the perfect kitchen or bath. Our showrooms stock and display over 65 major brands in fixtures, tile and cabinetry, which means you have the creative freedom to select from the finest materials and products. And our experienced designers are here to assist you with every detail. Make it easy on yourself and visit us today! Kitchen & Bath Gallery, a division of Supply New England, is a third-generation family business with strong roots in the New England region. As the largest heating and plumbing supply company in Southeastern Massachusetts, Connecticut and Rhode Island, Supply New England operates 18 locations, nine of which are full-service retail showrooms. The newest showroom, in partnership with Kohler in Boston, MA, is a modern, state-of-the-art facility with three kitchen vignettes and numerous bath suites & ensembles. Designs by Gia is a full service Interior Design and Renovation firm specializing in Residential Projects. Our services include, Consulting, Custom Design Planning, Complete Project Management, and Renovation. We are very well known for our Custom Kitchen and Bath Designs as well as entire home renovation projects. We believe that a space should convey the personality and tastes of the owner, and function to meet the needs for which it was designed. A well designed space will work to enhance the lives of those who use it, providing both comfort and inspiration. Our firm will work with you to create a space which meets all of your design needs. Newton Kitchens & Design provides exceptional handcrafted cabinetry and furniture manufactured in Massachusetts. As a family owned business dedicated to delighting our customers and altering their perception of what is possible with custom kitchen, bath and furniture design, we blend an unpretentious and authentic mindset with an unrivaled commitment to master craftsmanship. Our unique and innovative designs range from contemporary to traditional while combining luxury with functionality. Our in-house finishes include exotic wood veneers, Italian lacquers, fabric and stainless steel wrapped options and more. At every stage - from in-home consultation through design, build and installation - Newton Kitchens & Design takes a hand on approach to helping you create the perfect pieces for your kitchen, bathroom or entertaining space. In both our handcrafted custom and semi-custom cabinetry we deliver unparalleled customer service and unsurpassed quality that you and your home deserve. Full Service Design / Build Firm | Best of Houzz Design & Customer Service Isn't it time you loved your home ? At RI Kitchen & Bath , we streamline the remodeling process by integrating your design , budget , and construction right from the beginning . We are a single source team of designers, management and installation professionals working together to help you from initial concepts to the completed installation. You'll love our process almost as much as your new space . We would love to help you make your dream a reality ! Contact us for a showroom visit or attend one of complimentary Remodeling Workshops . *Authorized UltraCraft Cabinetry Dealer* Come visit our beautiful showroom located 44 Pleasant ST in West Bridgewater! On display, we have all of your kitchen and bathroom materials, including cabinetry, countertops, showers, plumbing fixture, glass, hardware. Let Kitchen and Bath Works design and build your next project. Quinlan and Company is a fully licensed and insured remodeling company that is dedicated to providing the highest quality workmanship! 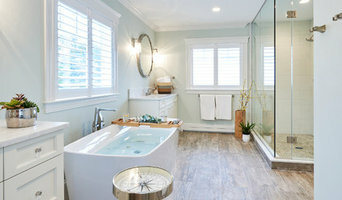 We specialize in bathroom and kitchen remodeling as well as flooring installations. We have a showroom in West Bridgewater which offers cabinetry, countertops, plumbing fixtures, shower doors/glass and much more! In addition, we provide the services for all aspects of your remodel, from planning and design to purchasing of materials at our showroom located in West Bridgewater. We will exceed your expectations as we bring your remodeling dreams to life and implement a solution and design that best fits YOUR needs! The Kitchen Center is a kitchen and bath design center that specializes in design-build projects in your home beyond just the kitchen. We design and provide cabinetry for contractors, architects and of course homeowners! Our cabinetry lines provide us with custom, made to order fine furniture grade cabinetry with a finish process that is second to none! Servicing our metro-west clients for over 49 years we pride ourselves in overseeing a project from conception through completion and insuring our clients have a new space that they love for generations. When experience matters, come see The Kitchen Center!